Two research papers written by Stern College for Women students and a post-doctoral fellow have been published in leading scientific journals. 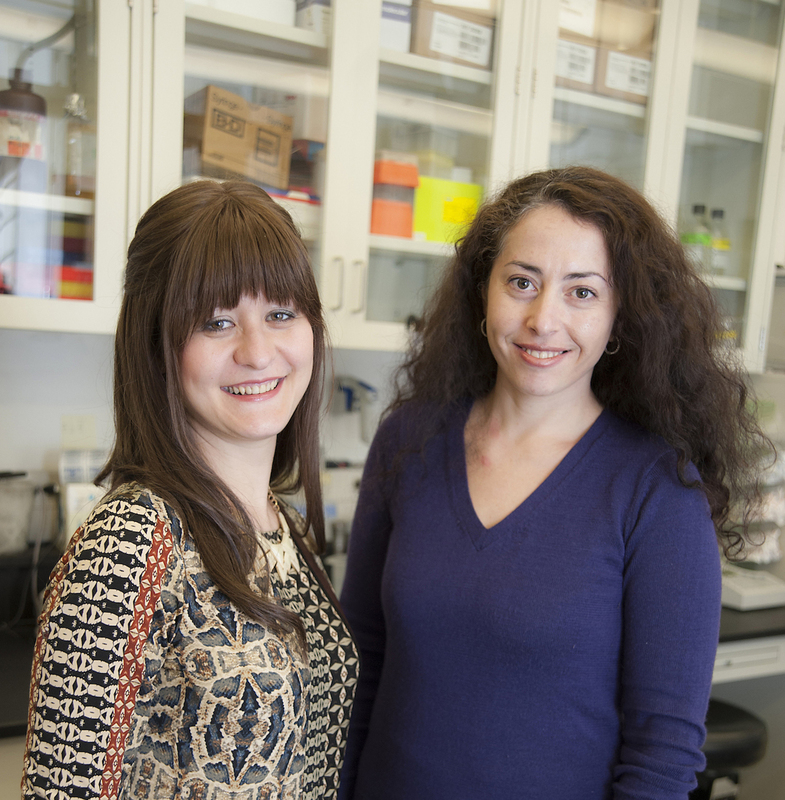 Dr. Anya Alayev, a post-doc in Dr. Marina Holz’s lab, authored the papers together with Holz and a group of undergraduates and research assistants, who participated in the research projects described in the papers. “Phosphoproteomics Reveals Resveratrol-Dependent Inhibition of Akt/mTORC1/S6K1 Signaling,” was published in the Journal of Proteome Research. “In this article we wanted to find a direct downstream target of resveratrol, a naturally-derived compound that has been found to have anti-aging and disease-protecting properties,” said Alayev, who also recently received the Scholar-in-Training Award from the American Association of Cancer Research. By identifying proteins that are affected by resveratrol, the study paves the way for further research into the compound and its actions. The paper was a product of two years of research in collaboration with a group from the University of Vermont, in addition to extensive laboratory experiments and computational biology analyses—including several months of writing and revisions—before the manuscript was accepted for publication. It was co-authored by Sara Malka Berger ’13S, who worked in the Holz lab as a research assistant last year and is now pursuing master’s degree in Genetic Counseling at the Mount Sinai School of Medicine. Alayev also wrote “The combination of rapamycin and resveratrol blocks autophagy and induces apoptosis in breast cancer cells” which was co-authored by Berger, Melissa Kramer ’15S and Naomi Schwartz ’14S, and was published in the Journal of Cellular Biochemistry. 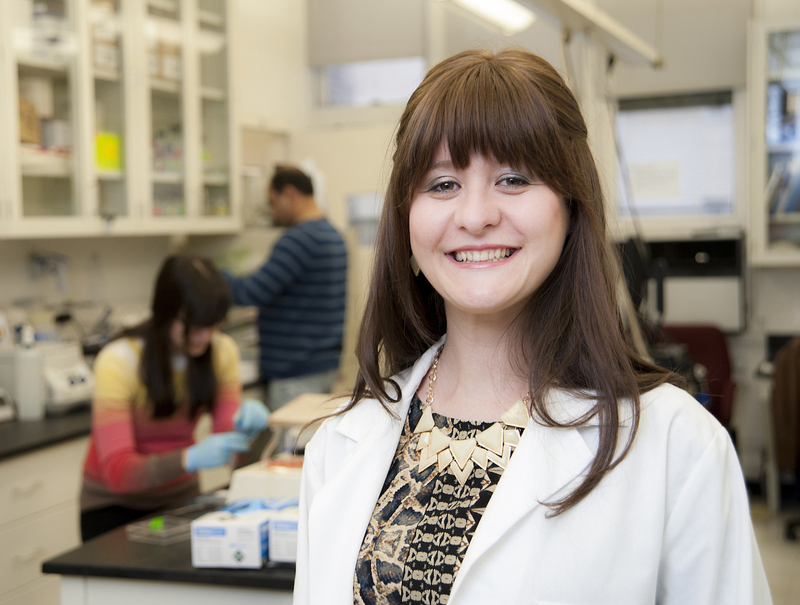 Schwartz is a full-time research assistant in the Holz lab, and will begin medical school in the fall of 2015 at the Albert Einstein College of Medicine. The paper examines the combination of drugs that induce cell death in breast cancer cells. One of the drugs, rapamycin, is an FDA-approved chemotherapy agent, while resveratrol is a widely-available natural supplement. “This combination can be easily tested in pre-clinical models of breast cancer and if effective after clinical testing, could be rapidly implemented for clinical use,” said Holz, the Doris and Ira Kukin Chair in Biology at Stern College. Holz praised the efforts of the students who were part of the research team. The students, in turn, found their involvement in the research process to be quite rewarding.